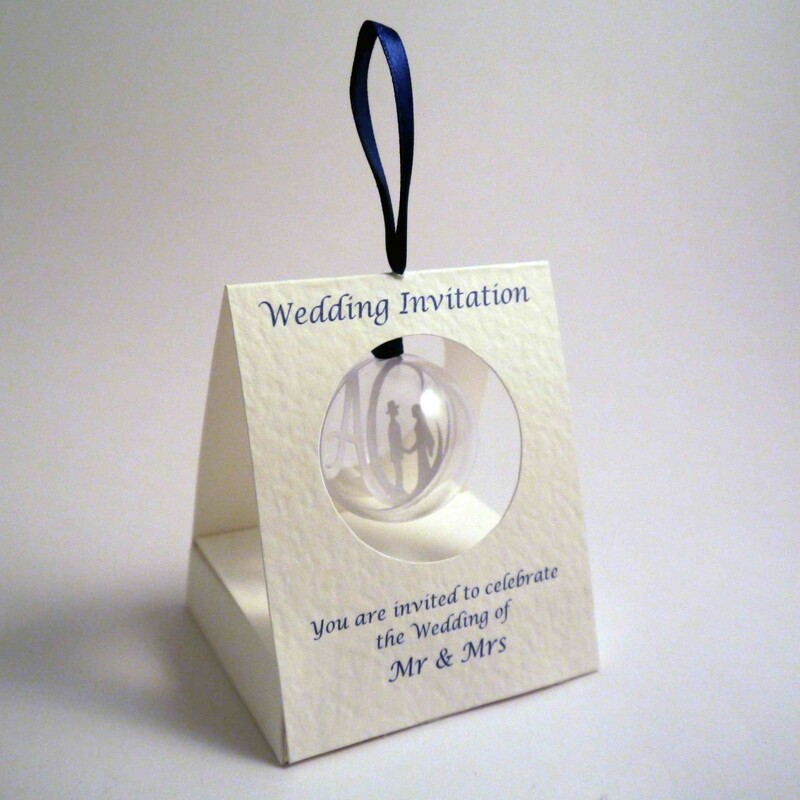 This unique range of Wedding Invitations have been exclusively designed by Katie King Design. 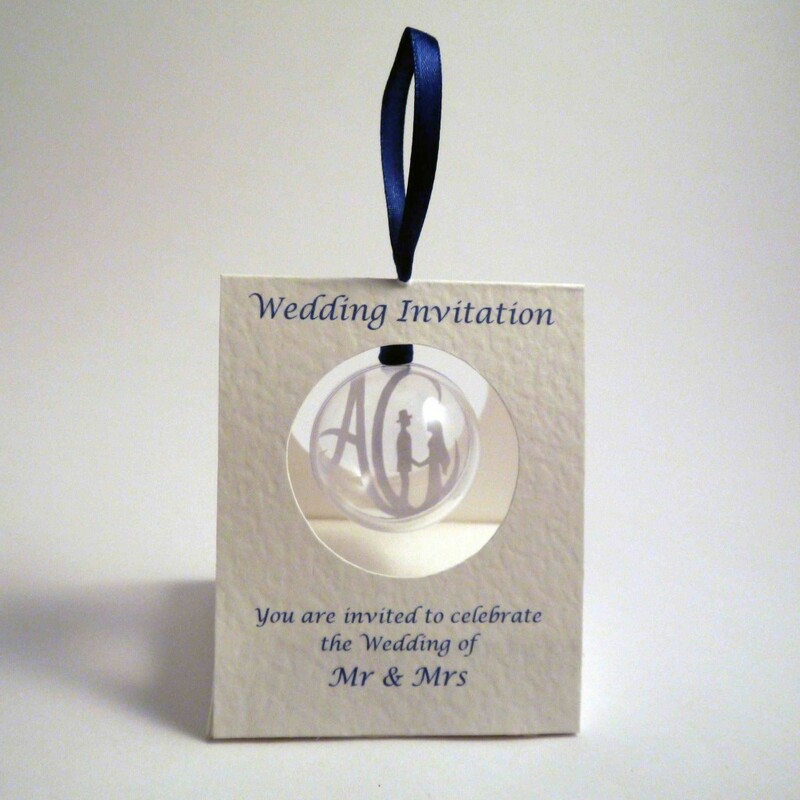 Each card is hand made with a hand cut paper design enclosed within a suspended bauble. 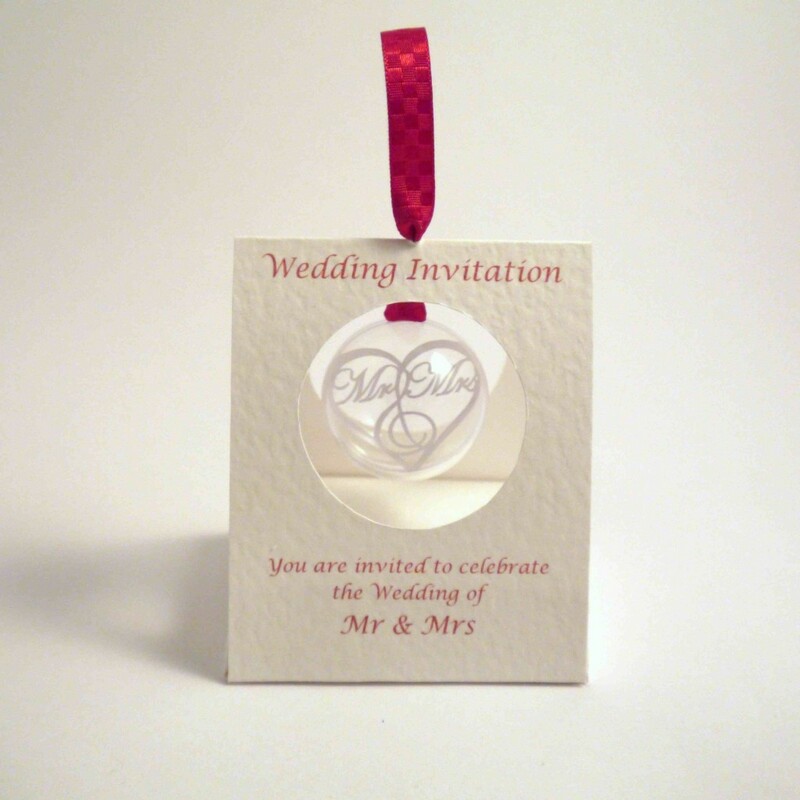 The design serves as a luxury wedding invitation that can be personalised to give an outstanding insight into what your guests should expect from your big day. 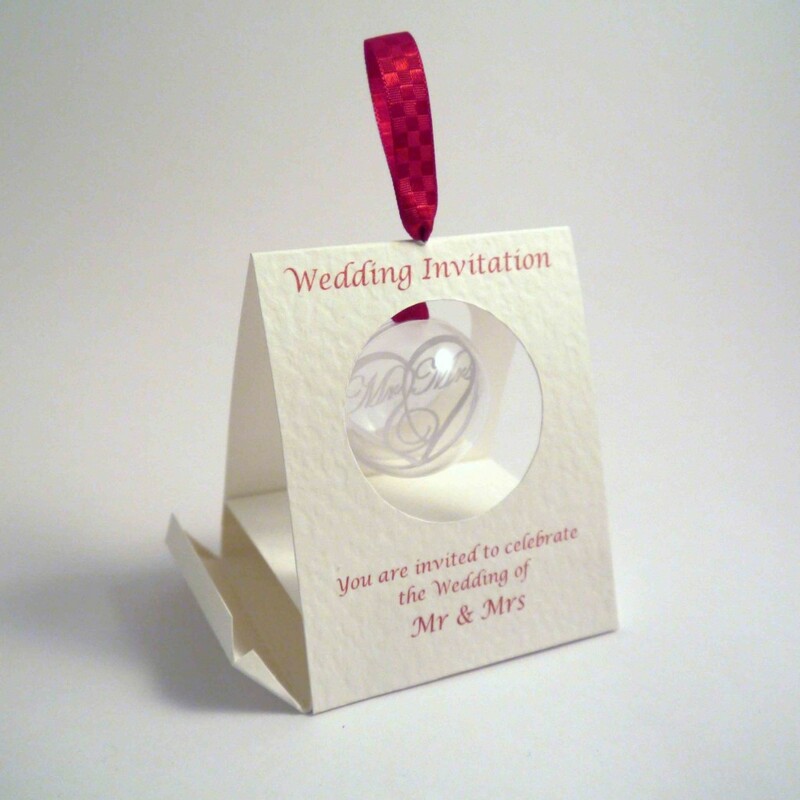 Each invitation comes with a small compartment in the bottom allowing room for a personal message of invitation, RSVP card and event details. 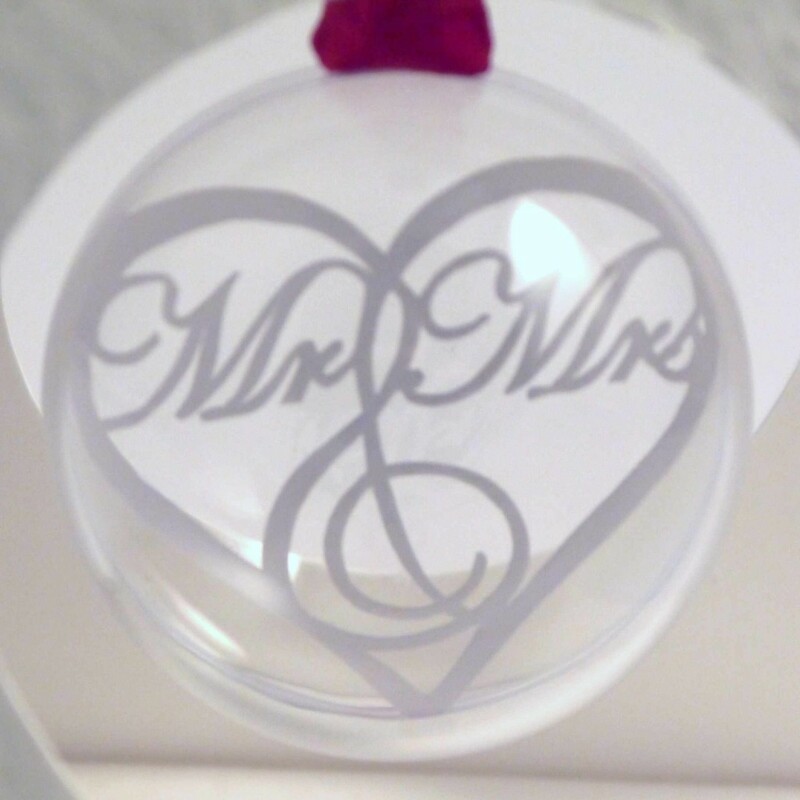 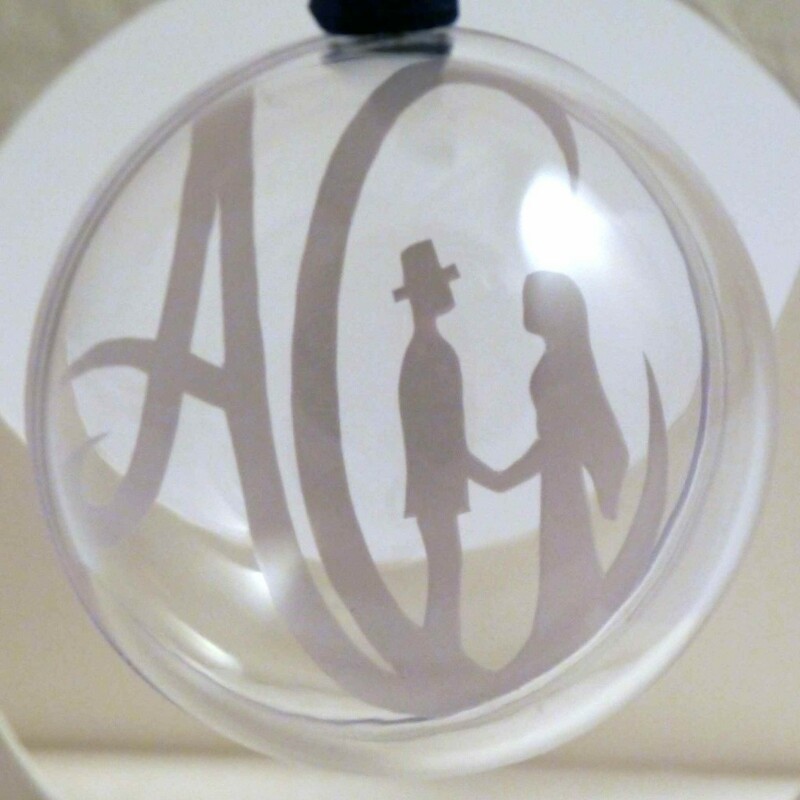 The favours can be personalised with your choice of design inside the bauble and printed details of the marriage on the card. 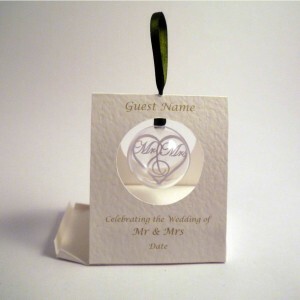 To find out more about products and packages available please inquire here. 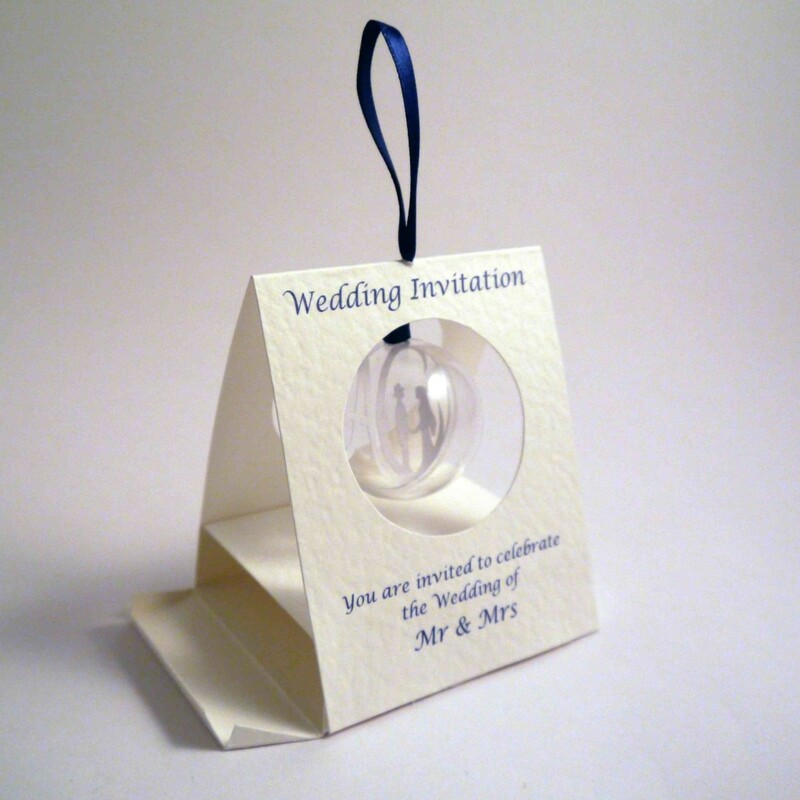 For Wedding Favour ideas please click the image below.